Hello friends, I made this card for my niece’s wedding that I actually am attending today! Please pray for no rain as the wedding is outside! 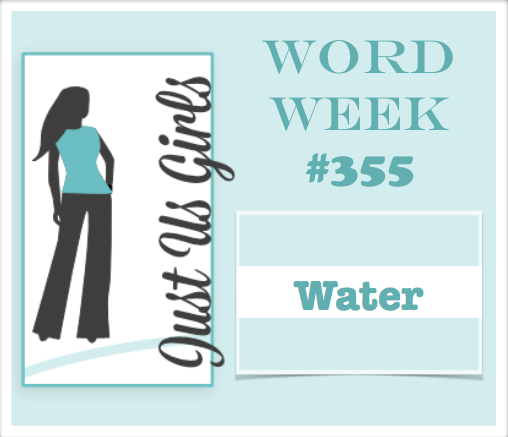 As you can tell it’s Trend Week over at Just Us Girls and Ina has asked us to do some Water-Coloring, which I really do enjoy. 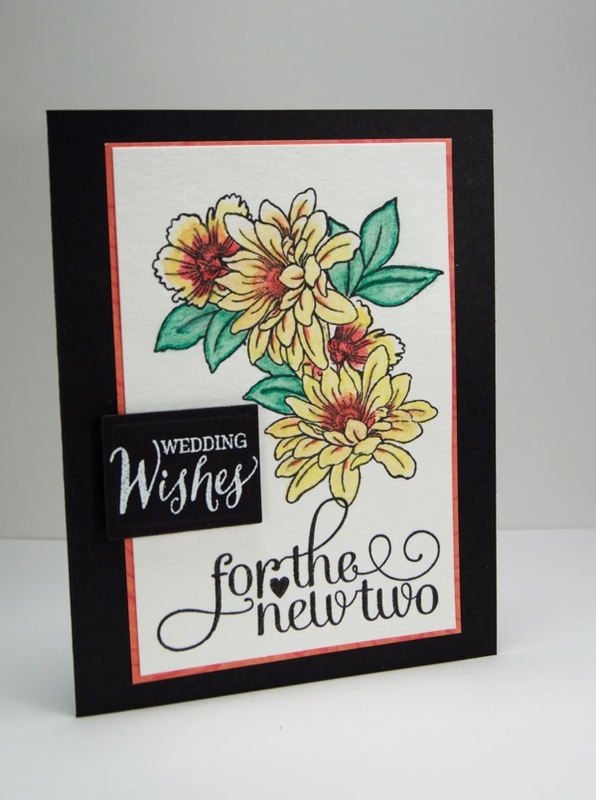 The Water-Colored flowers are from Stampendous, the sentiments are a mix of Stampin Up and who knows what. LOL I am having a “Dory” moment. Categories: Cards | Tags: Card making, Cards, rubber stamps, stamping, Stamping Up, watercoloring, wedding card | Permalink. Beautiful! 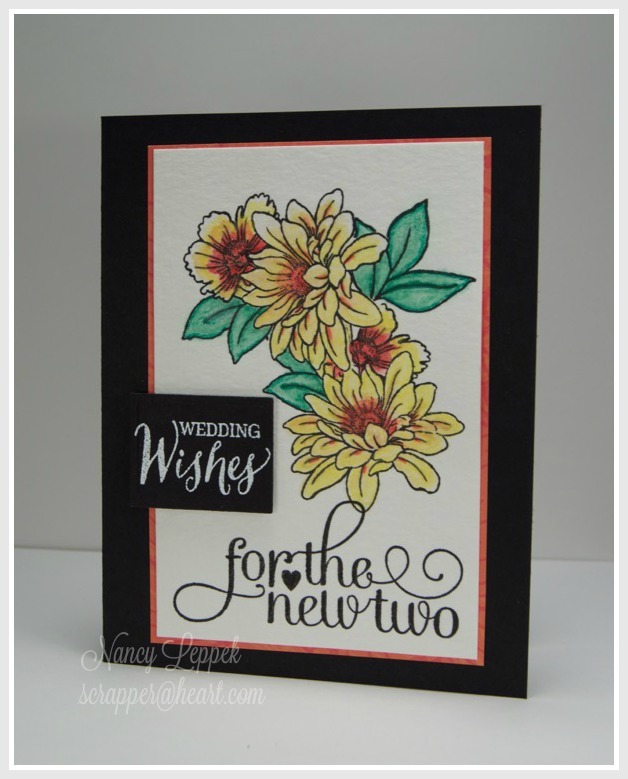 I love your choice of image to watercolor and the combo of sentiments. I love the soft look of the watercolor on those flowers. I am sure your niece is going to love this. I am not surprised that you love water coloring, because I do too. Lol You did an amazing job coloring this beauty and it is such a different wedding card. A stand out one for sure, not the usual white and glittery ones. Love the sentiment and it really looks good, even if you can’t remember who they are by. Lol Hoping for sunshine. Beautiful card…..hope the day is as beautiful….AND dry! Love those flowers and the sentiment! Have fun at the wedding! Your card is so gorgeous and beautifully colored. This is lovely, Nancy. I love how you framed out your beautiful flowers. Beautiful wedding card Nancy. Oh, and I love your new dress. Gorgeous Nancy and I love that it is so different from the usual wedding cards. Love the big bold sentiments too. How pretty, and what a great greeting for a wedding card. Super sweet – your coloring is amazing. Great design too, LOVE it!